Back So Soon?! …you betcha! Under the heading of “reasons/excuses” in my last blog post as to why I haven’t been keeping up with my blog is the amount I post to Instagram, the redundancy factor. But, I’m also realizing that not everybody likes IG or FaceBook (I’m not a fan of FB). So, whether or not I post to IG or FB will no longer have anything to do with my blog posts. Here’s a little something I worked on last night. I felt as if all I did over the weekend is play “catch-up”! 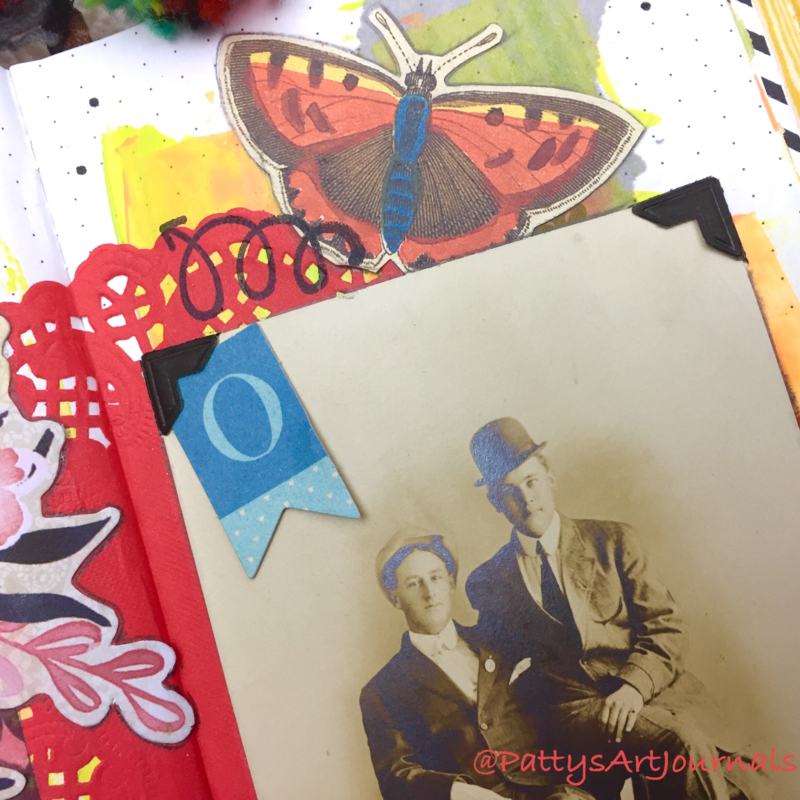 I needed a little art time to counter balance the steady onslaught of To Do lists! In other words, some Me Time! This vintage post card has been making the rounds from shelf to shelf for a few months now, I just wasn’t sure what to do with it. My usual M.O. is to stick it in a container of some sort and forget about it. 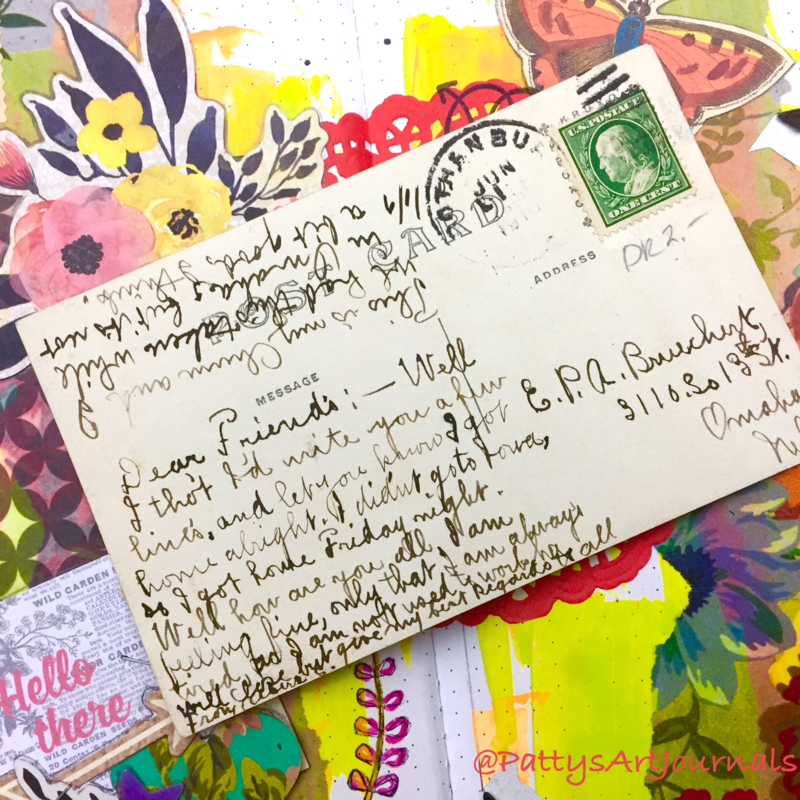 The problem was, it has all this wonderful writing on the back and I didn’t want to just glue it into a journal willy nilly and loose all those memories. I think this card is from 1910, it’s a little faint. Luckily for all concerned, I just happened to find my photo corners the other day, so problem solved! And now somebody else’s keepsake has found a new home. It occurred to me that underneath this card would be an excellent, secret journaling spot, that may or may not ever happen. I would really appreciate your input on the Instagram/FaceBook issue. How do you feel about these social media outlets? Do you prefer a blog? Or all three? Please let me know in the comments. 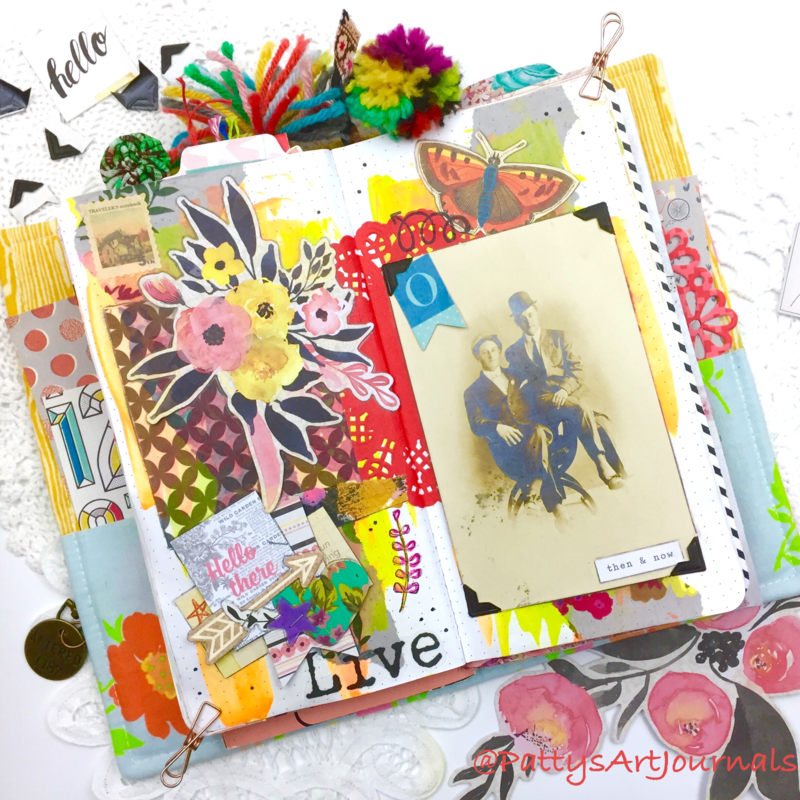 Personally, I feel as if blogs are a little less noisy and a lot more friendly! 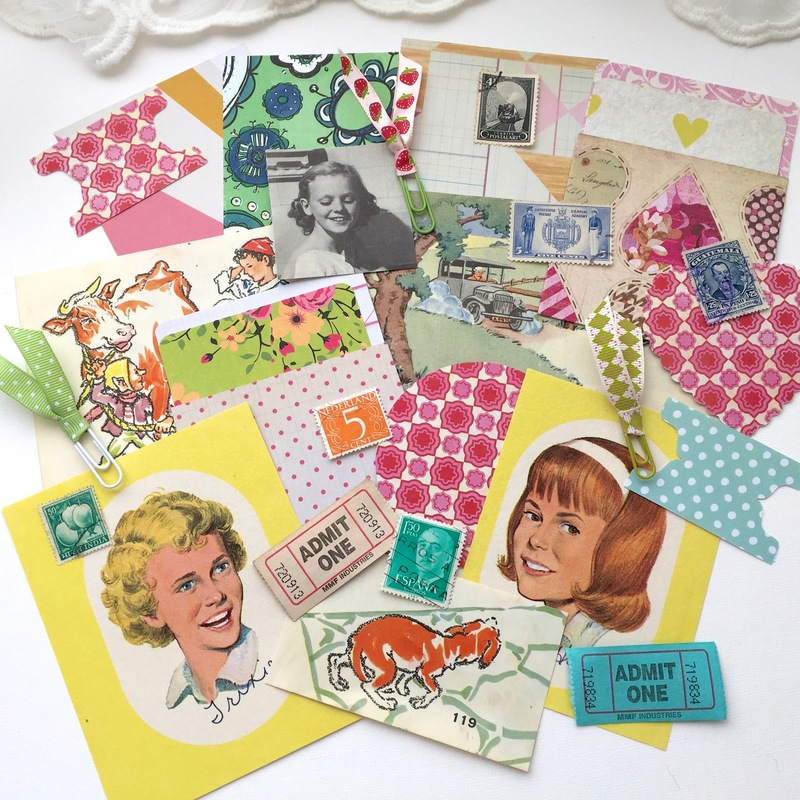 Next > Card Making With TheResetGirl’s Latest Mini Collections! 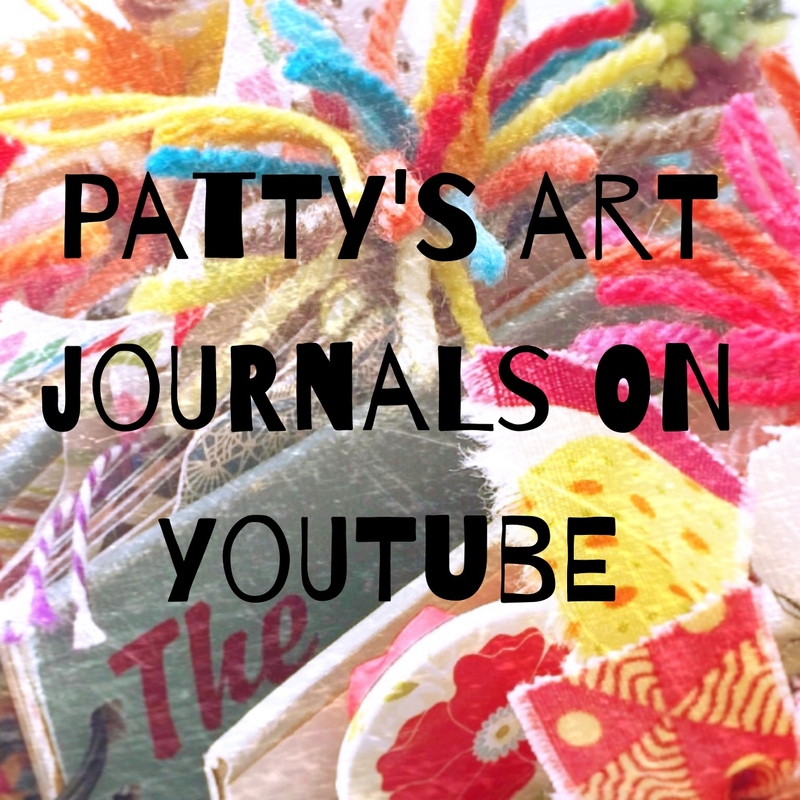 hi patty, i really like your blog posts. it’s like an on-line magazine subscription! plus i prefer leaving comments and ‘likes’ on blogs as opposed to other social media places. thanks for asking us and thank you for the inspiration. so happy you found your photo corners-that postcard is amazing! what a treasure. Thank you Jenny! It’s awesome having you out there supporting me! Thank you so much for your input Nancy. It’s wonderful to hear you like the blog posts! I enjoy reading your blog, & I do not use IG or Facebook, so please continue with the blog. Thank you. Yay! Thank you so much Gill, music to my ears!